I'm putting this recipe up today for one reason - it is the ULTIMATE Sunday night meal and you're going to have ALL of tomorrow to let the pork slow-cook. So long as you don't add loads of sweet sauces, this is a pretty darn healthy meal! 1.5kg of pork - you need to choose a suitable slow-cooking cut. Here I have used pork scotch because there was very little visible fat but you can get much cheaper cuts. Ask your butcher. 3L of low-salt beef stock. 1x cup of apple juice. 2 teaspoons each of smoked paprika, oregano leaves, crushed black peppercorns, ground cumin and ground coriander. Wraps - anything but white; here I chose barley. Can of black beans, drained. Cut your pork down into chunks about half a fist in size. Remove any visible fat. 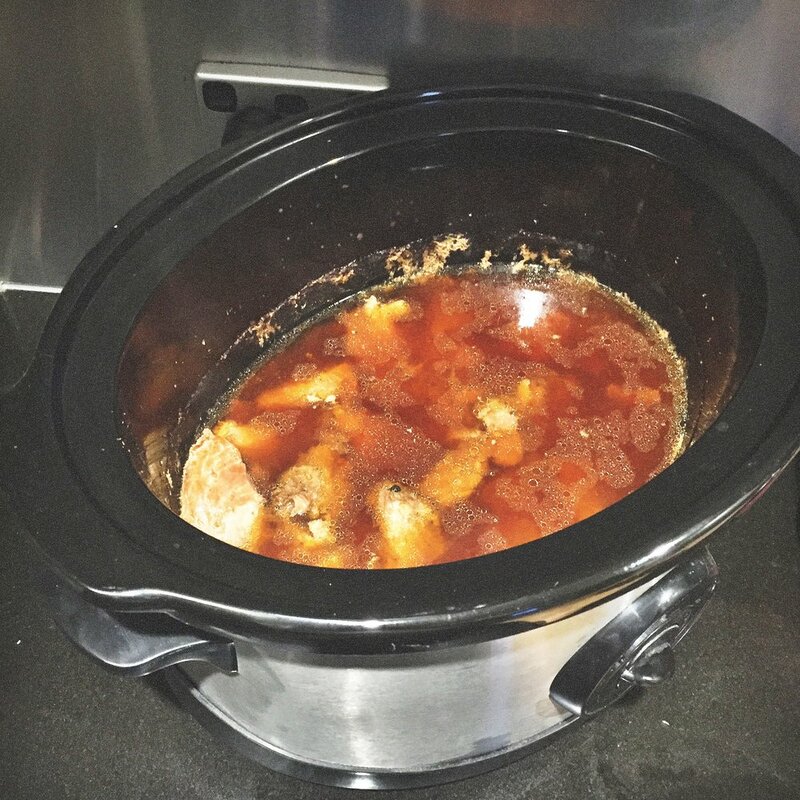 Put pork into slow-cooker on low along with stock, apple juice, garlic, cloves and all of the spices. Cook for 8 hours or until pork is as tender as you wish. Remove cooked pork shaking excess liquid off. Use two forks to gently shred your pork. Over a high heat skillet, brown your shredded pork in batches. Cook to your liking. Pour a small amount of the liquid in the slow-cooker back on top of your now browned, shredded meat to flavour. Be mindful that this is adding calories back in so do not over-do it . Further, adding too much liquid will make your wraps soggy. 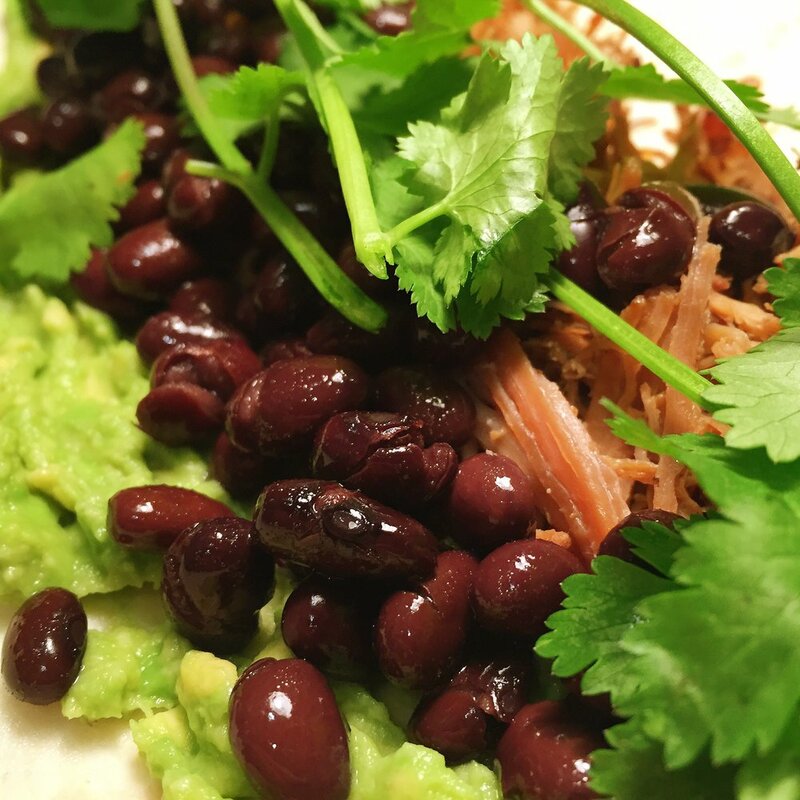 Make up your wraps with avocado, black beans, your shredded pork and some fresh coriander. YUM! !